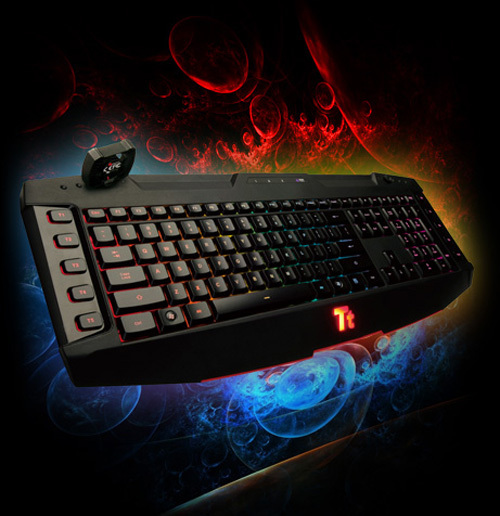 Thermaltake’s professional gaming gear division Tt eSPORTS, today has unveiled a new gaming keyboard designed specially for MMORPG and RTS gamers. 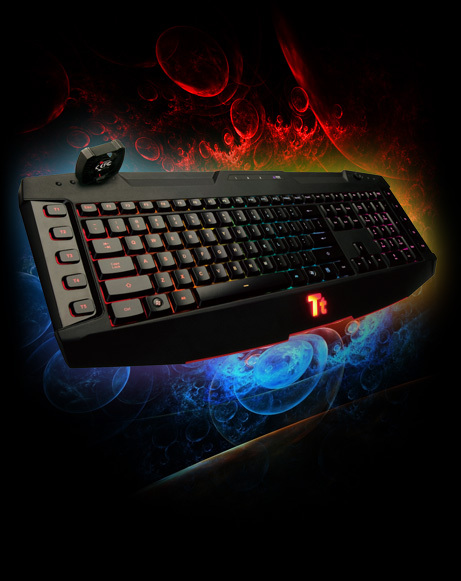 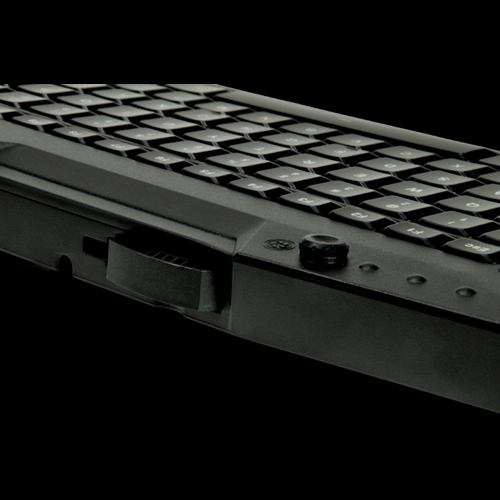 The gaming keyboard measures 505x 195x 27mm and utilize USB connectivity. 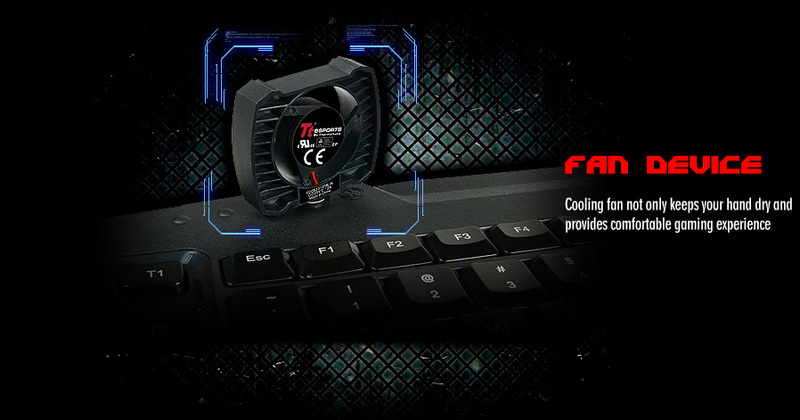 It features Wizard 256 back light design with four levels of illumination, has 14 programmable macro keys and 6 multimedia keys. 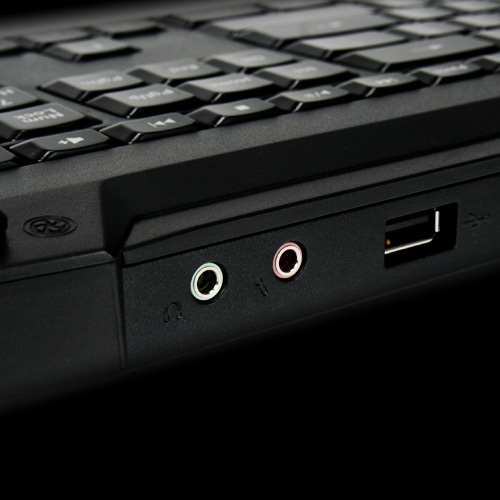 It is equipped with 64KB on board memory which can store 5 game profiles and 70 Marco keys. 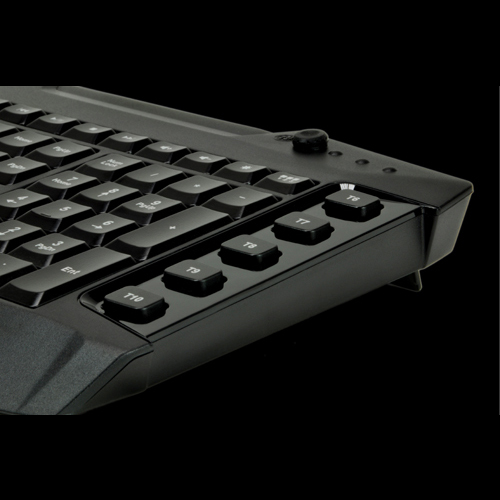 In addition to its anti-ghosting capabilities, the keyboard comes with eight additional keycaps, W,A,S,D and four directional arrow keys. 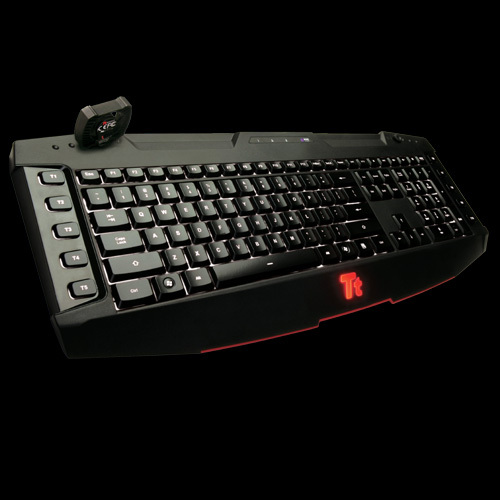 It is also equipped with smart cable management, packs two USB ports, audio jacks for Mic in and SP out, Gold-plated USB connector on its 2m braided cable and a small fan which is placed at left upper corner of the keyboard to keep your hands dry.